Here is a new, original and exciting use for drones – assisting judges see during live horse races. 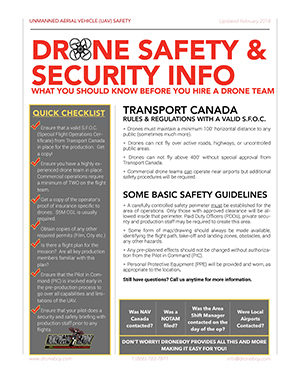 When the Alcohol and Gaming Commission of Ontario (AGCO) contacted our office a few months ago and asked if we had any experience with drones and horses we had no idea it would lead to an entirely new genre of drone use. Drone horse race officiating – bring it on! In our experience, most animals can be familiarized with drones over time and they will eventually develop a comfort level with the technology. We start by flying the drones up high and far away where they are at first perceived as a potential threat then just a curiosity. Eventually our flying contraptions become something they just forget about and they go on with their lives. It takes time and trust but it works out well. In this case our drones were tasked with following high above thoroughbred horses as they raced around the horse track, while our high definition zoom lenses looked for potential race infractions. This gave a whole new meaning to our term Drone Inspections Services and we were more than game to give it a try. On December 2nd we participated in a pilot project (pilot – get it) with the AGCO to see how this would work out. We flew our drones during the Standeadbred Canada race qualifiers in London, Ontario, while the judges eagerly looked over our shoulders at the live playback screens showing them the horses from an entirely new perspective. The judges and everyone else was amazed when we showed them our ability to zoom the image and bring up details they would have easily missed viewing through conventional means. They were hooked!